If you or a loved one has been arrested on criminal charges and would like to personally meet with an experienced Criminal Defense Attorney for a FREE and confidential consultation, please call (239) 775-1004. 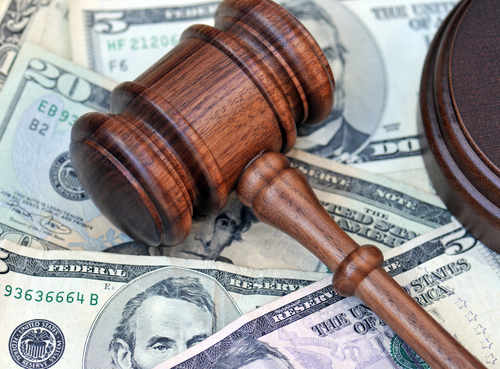 A bond is the monetary or cash amount that a defendant must provide in order to be released from jail pending the outcome of their criminal case. The bond amount is typically designated by a judge at a “First Appearance” hearing, which usually takes place within twenty-four (24) hours of the arrest. The purpose of a bail or “bond” determination in criminal proceedings is to ensure the appearance of the criminal defendant at subsequent proceedings and to protect the community against unreasonable danger from the criminal defendant. The amount of bond differs based upon several factors. In some jurisdictions, a pre-determined bond schedule will apply for certain qualifying offenses, thereby allowing for a defendant to bond out prior to their “First Appearance” hearing. Can I be released without having to pay a bond? What factors will the judge consider when determining the amount of bond? (a) The nature and circumstances of the offense charged. (b) The weight of the evidence against the defendant. (c) The defendant’s family ties, length of residence in the community, employment history, financial resources, and mental condition. (d) The defendant’s past and present conduct, including any record of convictions, previous flight to avoid prosecution, or failure to appear at court proceedings. However, any defendant who had failed to appear on the day of any required court proceeding in the case at issue, but who had later voluntarily appeared or surrendered, shall not be eligible for a recognizance bond; and any defendant who failed to appear on the day of any required court proceeding in the case at issue and who was later arrested shall not be eligible for a recognizance bond or for any form of bond which does not require a monetary undertaking or commitment equal to or greater than $2,000 or twice the value of the monetary commitment or undertaking of the original bond, whichever is greater. Notwithstanding anything in this section, the court has discretion in determining conditions of release if the defendant proves circumstances beyond his or her control for the failure to appear. This section may not be construed as imposing additional duties or obligations on a governmental entity related to monetary bonds. (e) The nature and probability of danger which the defendant’s release poses to the community. (f) The source of funds used to post bail or procure an appearance bond, particularly whether the proffered funds, real property, property, or any proposed collateral or bond premium may be linked to or derived from the crime alleged to have been committed or from any other criminal or illicit activities. The burden of establishing the noninvolvement in or nonderivation from criminal or other illicit activity of such proffered funds, real property, property, or any proposed collateral or bond premium falls upon the defendant or other person proffering them to obtain the defendant’s release. (g) Whether the defendant is already on release pending resolution of another criminal proceeding or on probation, parole, or other release pending completion of a sentence. (h) The street value of any drug or controlled substance connected to or involved in the criminal charge. It is the finding and intent of the Legislature that crimes involving drugs and other controlled substances are of serious social concern, that the flight of defendants to avoid prosecution is of similar serious social concern, and that frequently such defendants are able to post monetary bail using the proceeds of their unlawful enterprises to defeat the social utility of pretrial bail. Therefore, the courts should carefully consider the utility and necessity of substantial bail in relation to the street value of the drugs or controlled substances involved. (i) The nature and probability of intimidation and danger to victims. (j) Whether there is probable cause to believe that the defendant committed a new crime while on pretrial release. (k) Any other facts that the court considers relevant. (l) Whether the crime charged is a violation of chapter 874 or alleged to be subject to enhanced punishment under chapter 874. If any such violation is charged against a defendant or if the defendant is charged with a crime that is alleged to be subject to such enhancement, he or she shall not be eligible for release on bail or surety bond until the first appearance on the case in order to ensure the full participation of the prosecutor and the protection of the public. What happens if I am arrested while out on bond? C) Comply with all conditions of pretrial release. Should a person, while out on bond or pre-trial release, violate any of these conditions, their bond may be revoked, meaning they will be arrested and be forced to await the outcome of their case in custody. Do I have to pay the entire bond amount in order to be released? 1) Pay the full amount of the bond. 2) Utilize a bail bondsman by paying the bondsman ten (10) percent of the bond, which the bondsman will ultimately keep. 3) Request a hearing to reduce the amount of the bond. 4) Remain in custody pending the outcome of the case.